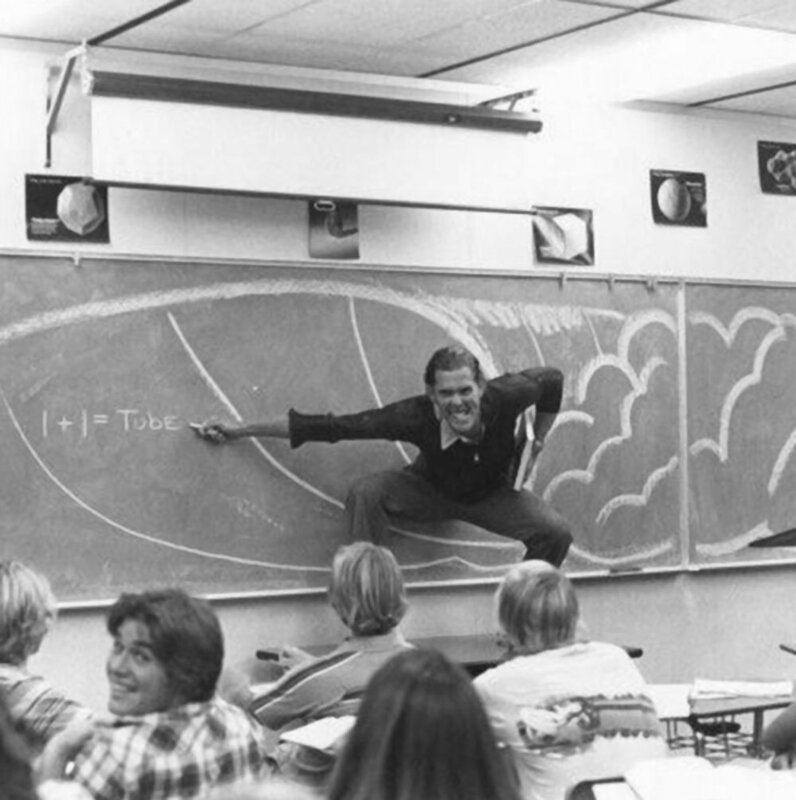 A math teacher at Dana Hills High School in Southern California, circa late 1970s. The photo was posted by the engaged educator’s son on r/OldSchoolCool 4 years ago and making the rounds again. 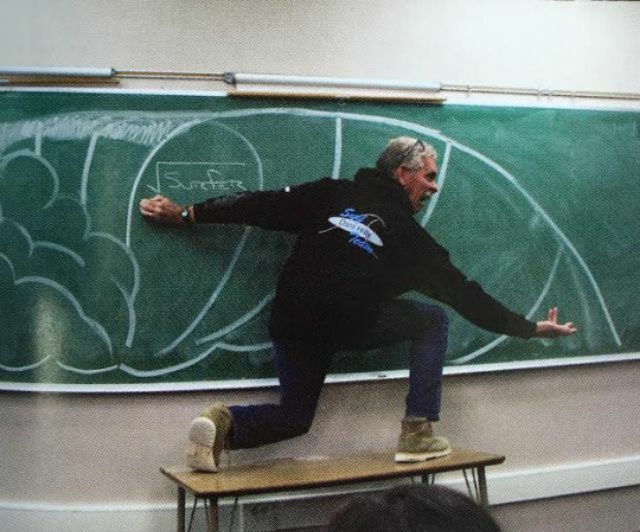 He’s finally retiring after teaching for 40 years at the same school, so the yearbook had him recreate the picture.